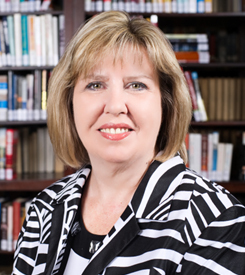 EVANSVILLE, IN – Dr. Mary Ann Trotter Sellars has been appointed the vice chancellor for academic affairs for Ivy Tech Community College’s Southwest region. Sellars holds a bachelor of arts, master of arts, and doctorate in philosophy from Southern Illinois University and has twenty-two years of experience as a faculty member and academic and student administrator. She is also a community college graduate, holding an associate of arts from John A. Logan College in Carterville, IL, and has a deep appreciation for Ivy Tech’s mission and the benefits of a community college education. Her doctoral dissertation was interdisciplinary and intercultural, with the focus directed towards an ethical approach to the environment. Sellars comes to Ivy Tech from Dyersburg State Community College (DSCC) in Dyersburg, TN, where she served as vice president for the college. During her time at DSCC, she was selected on numerous occasions to work with the Tennessee Higher Education Commission and the Tennessee Board of Regents to write policies and establish higher education planning for all entities in the state. She also served as a member of the design team that defined the performance funding model for the Complete College Tennessee Act of 2010 and the strategic planning model for the Tennessee Completion Academy. Prior to her work at DSCC, she served as the English and humanities division chair for Lincoln Land Community College in Springfield, IL. Her vast higher education background also includes serving as the dean of arts and sciences at Kaskaskia College in Centralia, IL, and as an associate professor of philosophy and history at Jackson State Community College in Jackson, TN. Sellars has been honored with the American Association of University Women Emerging Star Award, an Excellence in Teaching Award, and the Jackson State Student Government Faculty Award. Her community and professional affiliations include Kiwanis International, Rotary International, American Association of Community College Women, American Association of University Women, and the American Philosophical Association. The Ivy Tech Southwest region was founded in 1968 and serves students and employers in Daviess, Dubois, Gibson, Knox, Perry, Pike, Posey, Spencer, Vanderburgh, and Warrick counties. Ivy Tech Southwest has locations in Evansville, Princeton and Tell City. The region annually serves over 10,000 full- and part-time students through its academic programs.